CAS-ual Fridays is having a color challenge this week. I stopped myself from adding embellishments, to keep it clean and simple! Awesome card!! 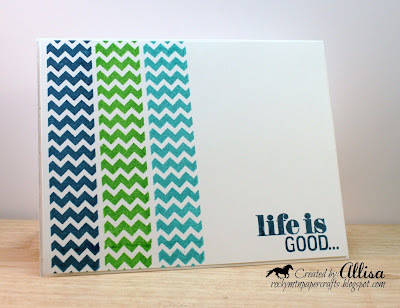 Love the chevrons with the colors here, so fabulous! Thanks for playing along with us this week at CAS-ual Fridays! Fabulous CAS card!! I was having a hard time seeing this as a card stamp set - your card is perfect! Beautiful CAS card. I love the colors. Thanks so much for joining us at Shopping Our Stash this week! I thought these were strips of wash tape Allisa! Great card! 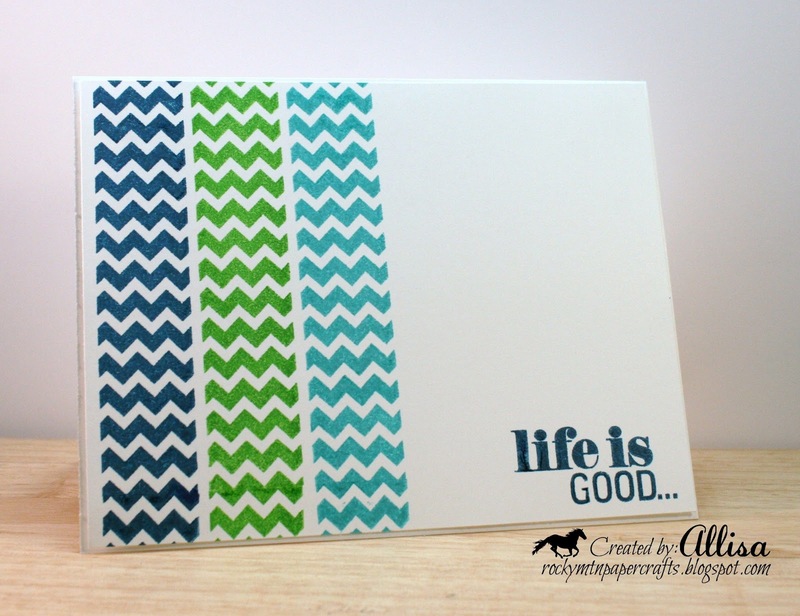 Love that chevron background! wow! You know this gets an A+ from me: UBERCAS and that sentiment says it all!! LUV this card. It is a wonderful example of how CAS does not mean boring. The colors and the sentiment against the white are perfect. Thank you for entering the CAS challenge at Card Crafter's Circle this week. I don't think i've seen a CAS card as simple and soothing as yours. Thank you for joining us this week at Card Crafter's Circle! Thanks for playing in our Clean & Simple Challenge this week at Card Crafter’s Circle. I really like how you have created this beautiful card !! I love these papers!!! very cool! !...thanks for being a part of the challenge this week, Allisa:)! !